Sunset is a magical time regardless of where you are. 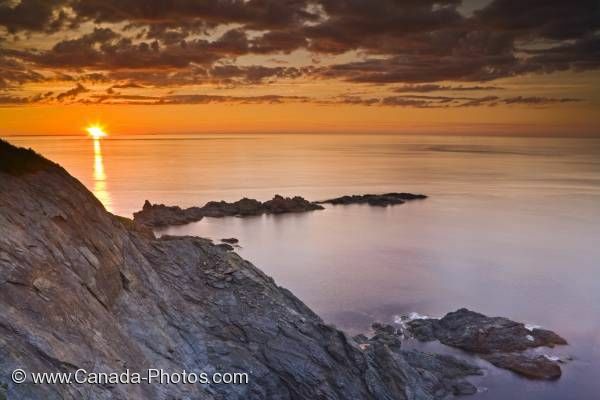 There are so many beautiful coastal locations in Newfoundland including Notre Dame Bay where you'll find the Twillingate Long Point Lighthouse which sits high up on a rocky cliff. Coastal scenery seen from just below the Twillingate Long Point Lighthouse, Twillingate, Notre Dame Bay, Newfoundland, Newfoundland Labrador, Canada.